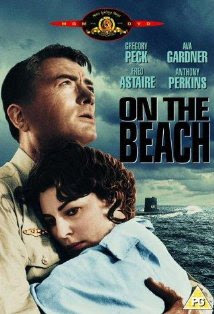 I've recently found the Post Apocalyptic movie "On the Beach" in the bargain dvd bin of my local discount store. I've heard about this movie for years, so for $5 I thought I would give it go. With going to much into the movie, I would highly recommend it. Being filmed in 1959 - you'd think that it would be quite dated. While certain segments were dated (eg the car driving with the moving background on the back windcreen), many scenes looked quite good. Particularly surprise where the racing scene crashes, where real cars were blown up - not cgi. Other scenes were a bit surreal as well and it retains a pretty good rating of 7.4 on the imdb website. It is based on the Nevil Shute Novel that goes by the same name. You can read more about the details of the movie on its wikipedia entry. Read more about 'On the Beach' here. In 1964, atomic war wipes out humanity in the northern hemisphere; one American submarine finds temporary safe haven in Australia, where life-as-usual covers growing despair. In denial about the loss of his wife and children in the holocaust, American Captain Towers meets careworn but gorgeous Moira Davidson, who begins to fall for him. The sub returns after reconnaissance a month (or less) before the end; will Towers and Moira find comfort with each other? If you are wondering why everyone falls silent after Moira and Captain Towers playful wrestling on the beach, its because he inadvertently calls Moira his wife's name 'Sharon'. 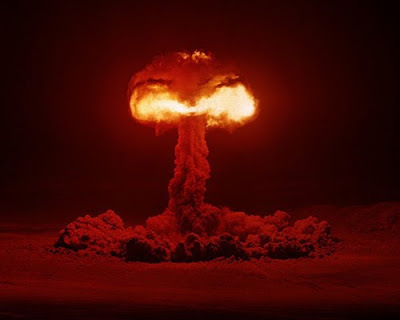 While many of the scientists who made atom bombs during the cold war became famous, the men who filmed what happened when those bombs were detonated made up a secret corps. Their existence and the nature of their work has emerged from the shadows only since the federal government began a concerted effort to declassify their films about a dozen years ago. In all, the atomic moviemakers fashioned 6,500 secret films, according to federal officials. There is a certain destructive beauty to these photographs of atom bomb testing; it certain would appeal to those with a penchant for Post Apocalyptic art. Last year, Israel's ambassador to the U.S., Michael Oren, stated that "an Iranian bomb can wipe Israel off the map in a matter of seconds." Others are less pessimistic. "People tend to be fatalistic about a nuclear attack. They say, 'There's no way to cope with a nuclear bomb.' But that's not true," says Oren Skurnik, who sells private nuclear shelters in Israel. "It's perfectly clear that if an event like that occurs in a built-up area, many people will be hurt. But that is not necessarily true for less populated areas. It doesn't mean a state won't remain - that those people who remain will not be able to survive. 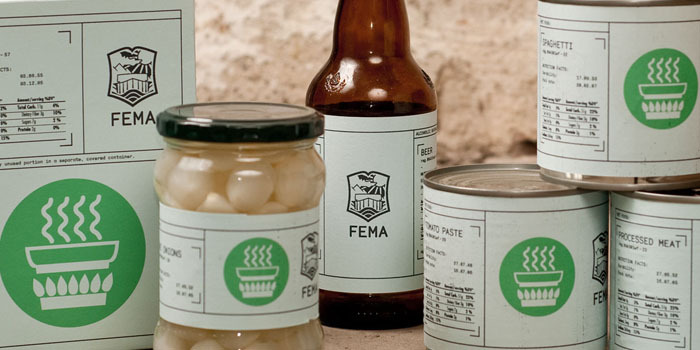 People think it's a matter of a doomsday scenario, but that's not necessarily the case." 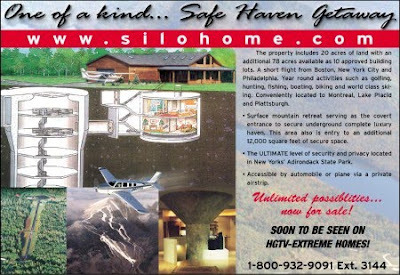 The local nuclear-shelter market is still in its infancy and is considered the privilege of the rich or obsessed. 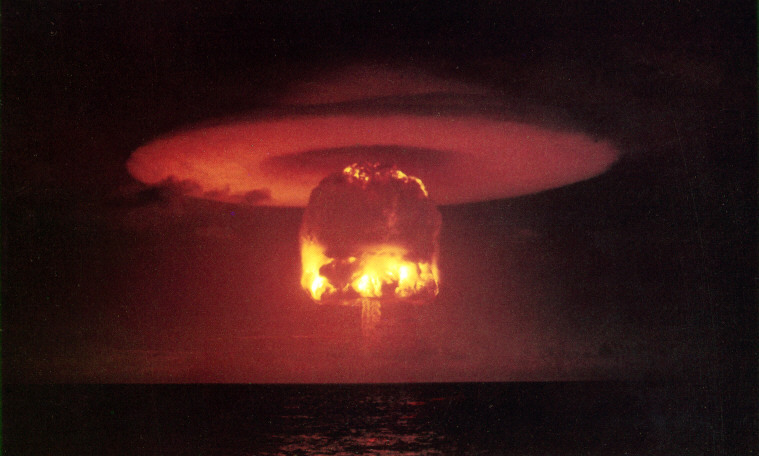 "A nuclear strike is a situation that invites plenty of repression," Skurnik explains. "Normal people don't get up in the morning and start thinking about such things. It's a subject that is naturally not very pleasant to consider." 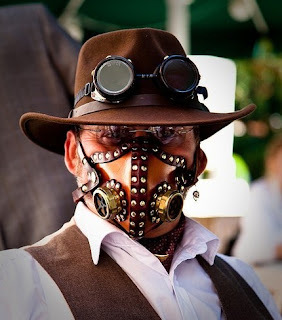 Most of Skurnik's business involves selling ventilation and filtering systems for use in the event of biological and chemical warfare, under the trade name "Noah's Ark." Requests for full-scale nuclear shelters are relatively rare - only a handful a month. What turns a protected space into a nuclear shelter? Skurnik: "To begin with, a nuclear shelter has to be underground, with metal parts that can withstand high levels of shock waves. In addition, the planning of a nuclear shelter has to take into account a long stay of a week at least. That requires water and sewerage infrastructures, storage space, support systems. So when you sit with someone and plan a nuclear shelter, it starts with questions like: What type of kitchen would you like? What food will you have? How big a bed will you have? What size is the generator and what fuel reserves will there be? There are elements here that have to sustain people who will be cut off for a relatively long time [from life outside]. A basic shelter like this costs about NIS 100,000. People think it is a luxury reserved for the very rich, but not everyone who contacts me is wealthy. It's a personal thing. Some people are really scared." In 2002, the Israeli National Security Council, a unit in the Prime Minister's Office, announced the construction of a protected space, described as "a national center for crisis management." The underground site, built inside a hill on the outskirts of the capital, and apparently intended to be linked by tunnel to the Kirya, the government compound in central Jerusalem, is meant to allow the government to continue functioning during chemical, biological or nuclear attacks. The facility's estimated cost is hundreds of millions of shekels, and its maintenance is the responsibility of the committee for security facilities (part of the Interior Ministry) and of the Defense Ministry. The tunnel contains conference rooms, offices and halls, along with computerized control systems that can relay information on events above-ground. When work on the huge shelter began, environmental groups protested that the construction of "the prime minister's escape tunnel" was wreaking destruction in what is called the Valley of the Cedars, one of the few green lungs left in the Jerusalem area. Others were critical of the idea that the country's leaders would save themselves during a disaster by means of an underground shelter. "The bunker is a project that is shrouded in great mystery, but on the other hand it's an open secret, because a great many Jerusalem residents are familiar with it and know where it is," says Dr. Oded Lowenheim, a lecturer in the international relations department of the Hebrew University of Jerusalem, who has researched bunkers in Israel. "It is meant to hold a few hundred people from all kinds of agencies who are supposed to oversee life during a situation of collapse," he says. "It's intended for a variety of situations, from the firing of Qassam rockets and Katyushas to the most extreme scenario. I think many of those who are meant to be in the bunker don't even know it." Let's say the government survives - what then? Lowenheim: "I ask that, too. I am not sure that rational thought preceded the construction of this structure. It sounds more like it's being built simply because, in the planners' minds, every country needs such a bunker. It seems to me that what underlies the project in part is a psychological need to feel protected even in the case of nuclear war, which from Israel's point of view will amount to an absolute holocaust. The bunker reflects the state's inability to recognize that there are situations in which it will no longer exist. That feeling underlies the construction of a structure like this, just as the pharaohs built themselves pyramids and other burial edifices: They thought they [the structures] would ensure their future in the next world, or maybe they could not come to terms with the idea that there is no life after death. After all, those in the bunker will have nothing 'to command and control' after a nuclear holocaust in Israel. Hence it is a response to a psychological need." Still, Lowenheim notes, there is a rationale involved. "On the face of it, the bunker serves as a deterrent: If the enemy knows that our leadership has a place to hide in the event of a nuclear attack and will be able to order a counterstrike - that reinforces what's known as 'second-strike capability.' It is a concept of deterrence that emerged when the Americans and Soviets were involved in the Cold War, but no one is promising that the same logic will work with us and our enemies." Bruce Francisco and his cousin Gregory Gibbons found a very unusual home with an equally unusual past in upstate New York. 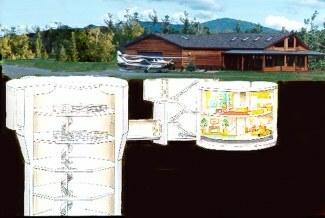 The two turned an Atlas F-series missile base from the Cold War into a most interesting home. Built by the United States government at a cost of $18 million each, the 12 bases were decommissioned shortly after they were built. Some three decades later, Francisco and Gibbons purchased the site on the cheap for only $100,000. They built a cozy house atop the missile base to serve as an entrance to the real home down in the former launch control center. Francisco and Gibbons transformed the upper levels of the control center into dining and entertaining areas. A spiral staircase leads farther below to the bedrooms. Altogether there are 1,300-square-feet of living space on the surface and another 2,300 below. And the underground space is the perfect place to hole up during the harsh winter weather. No matter what it's like above, the temperature in the missile base hovers around 60 degrees. But the 3,600-square-feet of living space is dwarfed by the 14,000-square-fee of unfinished space. This 180-feet deep, 50-feet wide area is the former storage space for the giant Atlas missiles. Set in the distant future, Connected is a story about survival and greed with a post apocalyptic wasteland as its backdrop. Survivors of an unknown disaster shuffle through a desolated landscape, as it quickly becomes clear that not everybody has the strength to survive. The Package Design Blog showcases interesting design packages and often highlights student work. 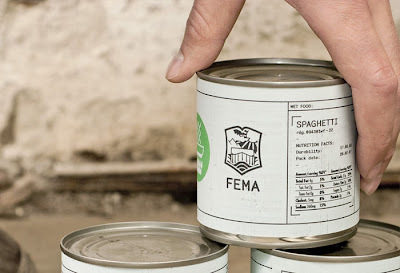 The one below is an imagined response from FEMA during apocalyptic event in the USA (judging by FEMA's press, 'imagined' in probably an appropriate term). This design was done by Ludvig Bruneau Rossow. A few months ago I came across this post by Schlow Reader about a Hurricane Katrina survivor named Zeitoun. The premise sounded interesting - Zeitoun, a Muslim American, decides to weather the storm in order to help out his neighbours. Todd was arguing with his interrogators. Zeitoun could hear occasional bursts as the questioning at the Amtrak desk continued. Todd was a hothead on a normal day, so it didn't surprise Zeitoun that he was agitated during the processing. "Are we going to get a phone call?" Todd asked. "You have to give us a phone call." Todd raised his voice, rolled his eyes. The soldiers around him stood closer, barking admonitions and threats back at him. "Why are we here?" he asked a passing soldier. "You guys are Al Qaeda," the officer said. Todd laughed derisively, but Zeitoun was startled. He could not have heard right. You find the book 'Zeitoun' on Amazon and it is also available in Audio format. Its 2039, and the barren wastes of Australia are flooded by watery Apocalypse. Fish are believed to be extinct; only rumours of their existence persist. So is it a miracle when a fish falls from sky in the middle of the outback, a day before a father will meet his son he abandoned at the age of seven? 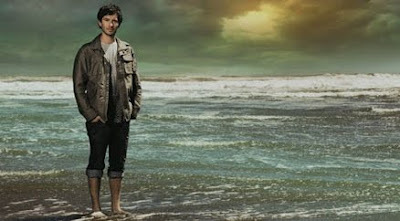 "When the Rain Stops Falling", a play by Andrew Bovell is a masterfully woven post apocalypic of both tragedy and hope. Like the book 'The Road', the post apocalyptic world take place in the background; it adds to the ambience of the play but does take centre stage. What does take centre stage are 3 generations of family where tragedy, abuse and ultimately redemption is found. I recently had the pleasure of seeing this play performed - I must say that its quite powerful stuff. It reminded how powerful live theatre is: I can't recall the last time a movie made the hair on skin raise, but it happened several times during the play. Below is promotional clip of the play. And a very special thanks to Kyrie O'Connor, who was kind enough to point out the inadequacy of my grammar. Thanks for the link! Unfortunately I haven't had time to write proper posts in while but here are some interesting links I've found in interesting in past month or so. Post Apocalyptic Fiction for Young Adults - Twenty Years Later is an online book - I haven't read this yet but looks interesting. Duck and Cover Comic - an epic comedy adventure set in a post-nuclear future with no human survivors. The world is now populated by feuding tribes of mutated animals, and an unlikely bond forms between a warrior duck and giant brained earthworm on a quest to salvage Earth. Apologies for not posting in a while. 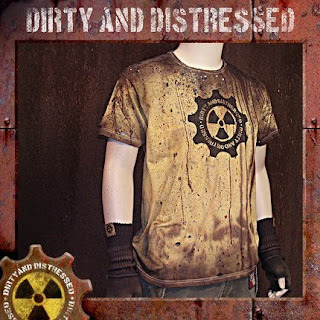 Here is nice Youtube Post Apocalyptic Series - on that is based in the Fallout Game series world. A couple of new ones should be out soon, so check youtube user LastEscapePod for more. Its not a bad little clip, so enjoy! 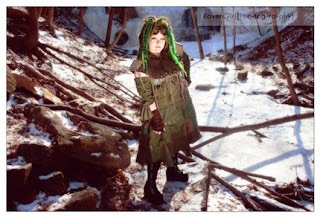 Here are few examples of Post Apocalyptic Fashion on Etsy. Out with the bright and the colourful, in the with disheveled and functional! 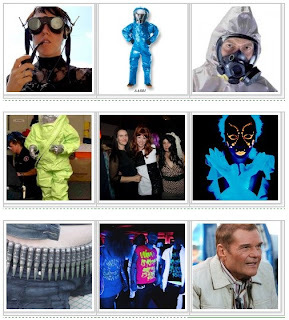 "Post Apocalyptic" Search Trends on Google - Does Scandinavia love the end of the world? What I find interesting is the term is especially highly used for Scandinavian countries - perhaps they feel that Ragnarök is approaching? Perhaps it has something to do with extremity of the poles - Canada rounds up the northern half as well as a couple of down-under countries, Australia and New Zealand. Seems like we’re all a little culturally obsessed with impending apocalypse at the moment; a minor flurry of end-of-the-world tales a few years back has grown into an everyman’s meme, with the cinemas full of zombie hordes, desolate wastelands and rugged survivors. That ubiquity has been a bit off-putting, to be honest… I love me a good post-apocalyptic story, but I’ve become a bit bored of them, and didn’t think we’d be publishing one here at Futurismic any time soon. But Sandra McDonald has managed to prove me wrong, by subverting the cliches and turning the end of the world on its head with some darkly post-modern humour; “Tupac Shakur and the End of the World” is a post-apocalypse yarn for people who are bored of post-apocalypse yarns. Enjoy! Here are some 'pin up' girls from the Road Warrior Weekend held in California November 20-22th 2009. 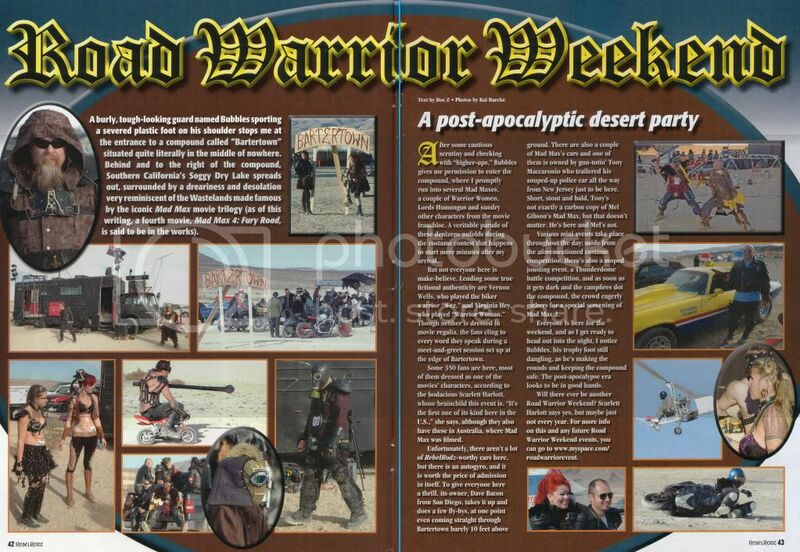 The Road Warrior Weekend is a massive tribute and revelry celebrating the Road Warrior Film and Post Apocalyptic Chaos. This is the adventure of Lady Wasteland. A story rooted in the misfortune of individuals left to scour a vast wasteland in search of their own private destiny. Each character: a fragment, a survivor, a wanderer. In a god-forsaken landscape after the collapse of civilized society, we find a generation left for dead, fueled by revenge, apathy, absurdity, and the need to find a piece of food. 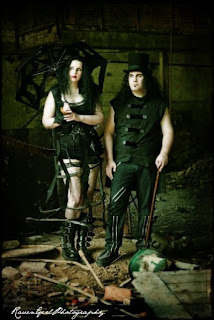 Lady Wasteland - Episode 1 - A Piece of Food from LadyWasteland on Vimeo. This is not so funny when you don't know the American 60minutes presenter Andy Rooney, but this spoof of him by Jimmy Fallon might be worth a half smile for those that do know him. If you want party Post Apocalyptic style check out the "Radioactive Bodega" in Pittsfield Western Massachusetts in the USA. So will gold and silver worthless during the Apocalypse? If you read the story Alas, Babylon, you would recall a scavenger whose collected gold and silver in hopes that when society and governments are fully restored. Unfortunately he became deathly sick from the high rate of radiation that was absorbed from these precious metals. Saving precious metals in hopes of it getting restored as form of official currency is probably not the best idea. However, are these metals totally worthless? Lets look at some practical uses of Gold and Silver. Both Gold and Silver are extremely conductive, silver being the most conductive metal known. If you can get sort of post apocalyptic battery going, silver is a good choice. Gold because its very difficult to corrode is also good choice. Silver is well known for its medicinal uses and antibacterial properties. Just be careful about drinking silver, or you'll look like a smurf. If you have an aircraft or special generator, you can use silver iodide to seed clouds for rain. Just make sure its not radioactive rain! Silver fulinate is powerful explosive. So in the Apocalypse, I might prioritise food, but I wouldn't neglect gold or silver if I would come across it scavenger or getting a cheap deal during bartering.